AeroCool Advanced Technologies (AAT) was founded in 2001. Aerocool is known for their innovative designs like they were the first company to introduce the U-Shape heat pipe design for the CPU Coolers which now has almost become a norm in air cooling. Similarly, they were the first company to introduce the double-bay front panel controllers. 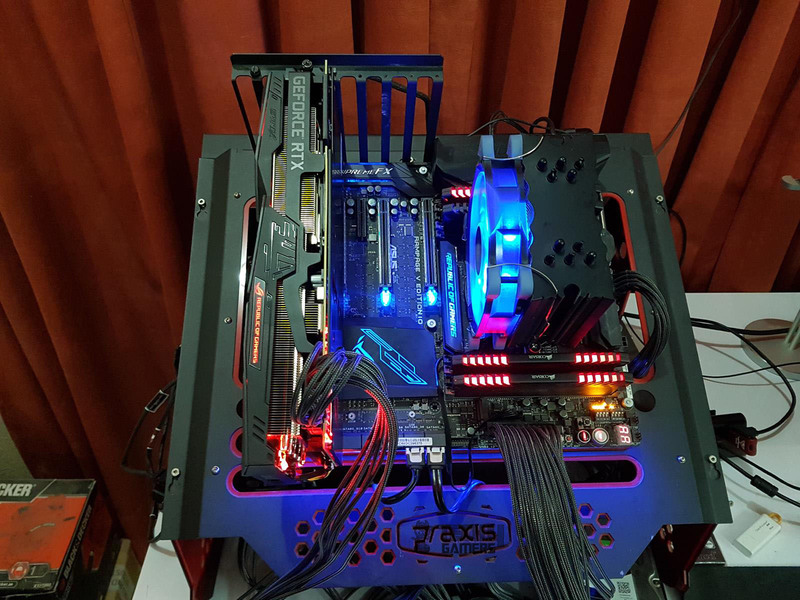 Today, Aerocool is among the market leaders in the “Gaming Market”. Their product lines include Gaming Chassis, PC Cooling, Power Supply units, Gaming peripherals, gaming furniture, accessories to name a few. Aerocool is not a new name to me. I bought their DS series fans back in 2014 or so when I was doing my X99 build on Rampage V Extreme and these fans exceeded my expectation from them. 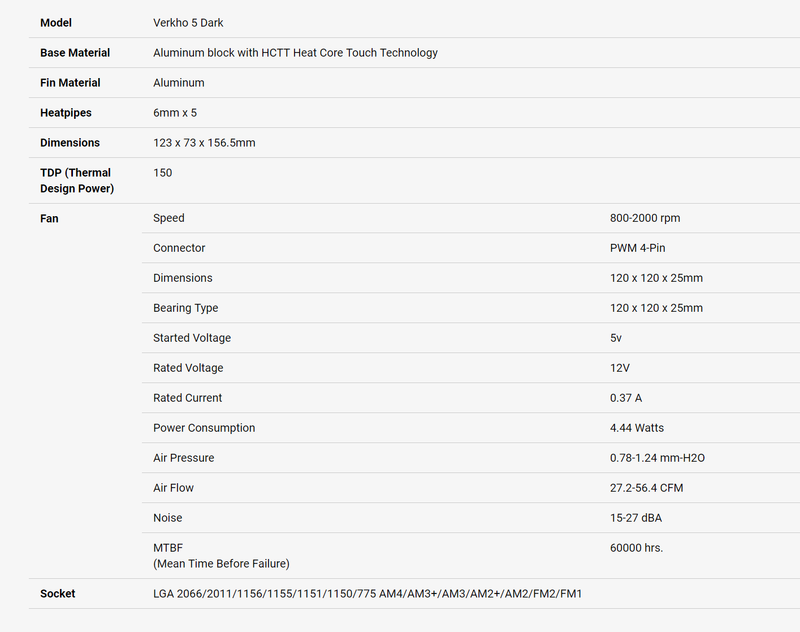 Aerocool has sent me Verkho series air cooler Verkho 5 Dark. As the name gives a clue about the color version, this cooler is available in two colors; one is the black and the other is the silver one which has been an industry trend. This is their premium air cooler in the category of air cooling yet it is more of a budget oriented solution. Clearly, Aerocool is trying to achieve a balance between the performance and value that your bucks could buy. This is a single tower design with fin stack has a black color coating on it. This not only adds more to the better aesthetics but according to Aerocool, it helps with the better thermal dissipation. A 120mm Blue LED fan is included in the pack to provide ample cooling on this cooler. We have copper made base plate making a direct contact with the CPU and 5 copper heat pipes which are also black coated. This cooler has compatibility with wide range of Intel and AMD sockets including Intel LGA20XX/115X and AMD AM4 and others but it does not support ThreadRipper.